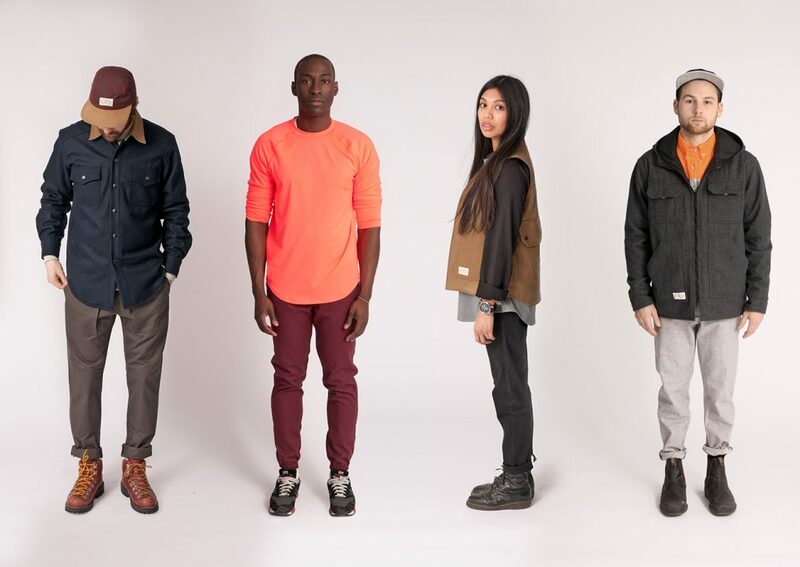 “The Great Exploration”, Muttonhead’s Autumn/Winter 2013 collection. Photo by Andrew Cottingham. Muttonhead Two Tone Crew in black/charcoal. Photo by Andrew Cottingham. 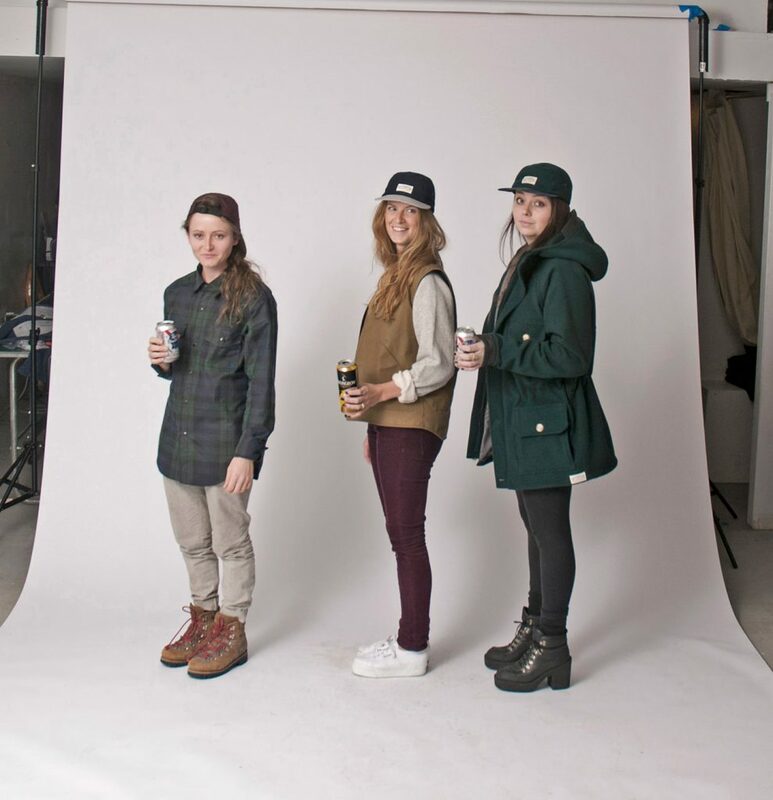 The Muttonhead crew: Mel Sinclair, Paige Cowan, and Meg Sinclair. Photo by Andrew Cottingham. The Muttonhead studio in Toronto. Photo by Crystal Yeomans. 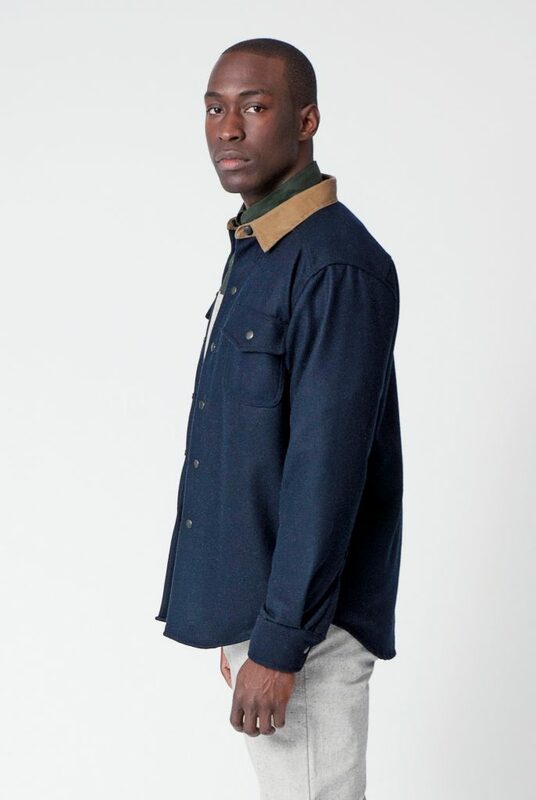 Muttonhead Field Jacket in navy/tan and trousers. Photo by Andrew Cottingham. 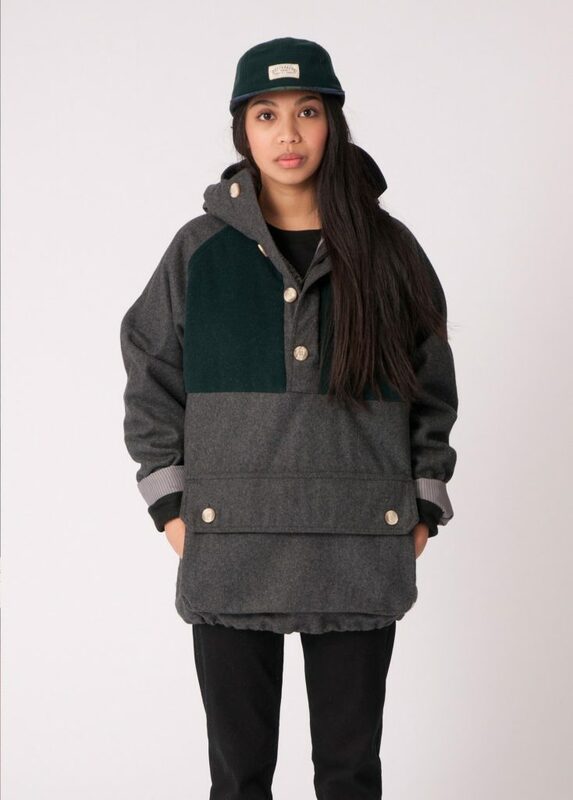 Muttonhead 5 Panel hat in black watch plaid and Pullover Parka in grey/hunter. Photo by Andrew Cottingham. 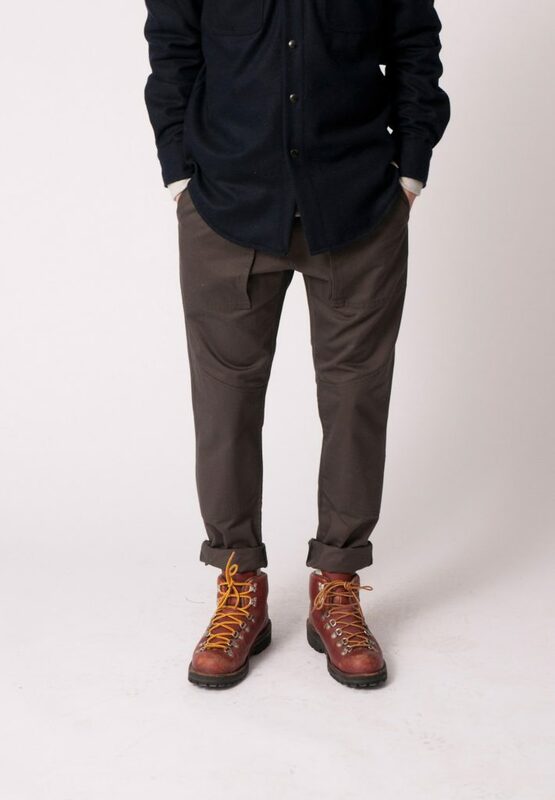 Muttonhead Field Jacket in navy/tan and wool trousers. Photo by Andrew Cottingham. 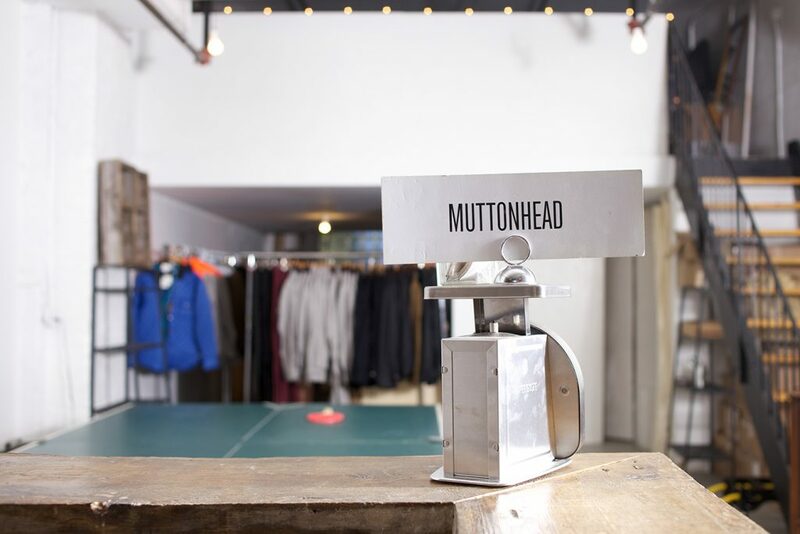 It takes guts to buck the trend, and the team behind Canadian apparel brand Muttonhead has been doing so since day one. The collection is the brainchild of Meg Sinclair, who, despite advice from her faculty to develop a womenswear collection, created a line of unisex outerwear in her final year of her fashion design program at Toronto’s Ryerson University. It earned her a top-five spot in her graduating class. Meg was joined by her twin sister Mel, and then, six months later, by Paige Cowan, both Ryerson graduates, to complete the trio who now create and manage the Muttonhead brand. Growing up, the twins borrowed their older brother’s snowboarding apparel, preferring his to the ultra-feminine florals and pinks that saturated the market for women. It was this that inspired the unisex aspect of the outerwear collection. But with Burton and other well-established brands having a stronghold on the outerwear market, the team decided to take Muttonhead in a different direction and create a lifestyle brand based in Toronto. A collection that catered to both men and women was a tough sell. 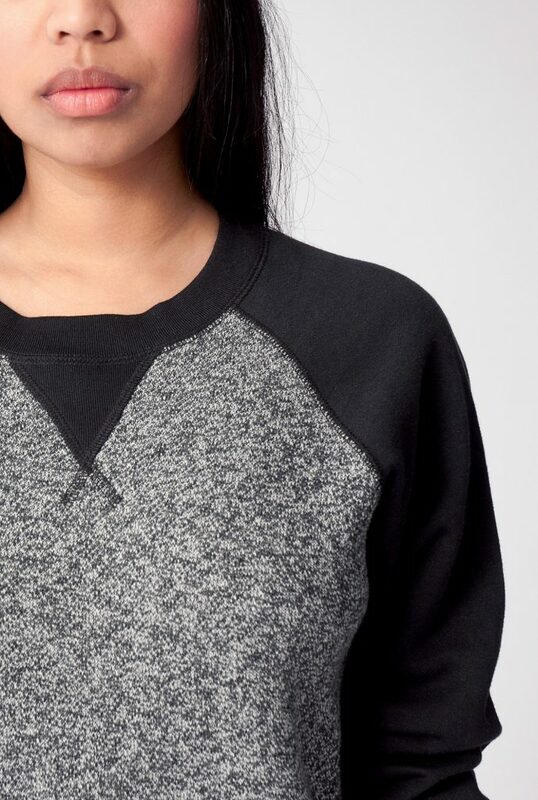 “People didn’t know what to make of a unisex brand at first. They didn’t know where to put it in their stores,” Cowan says. 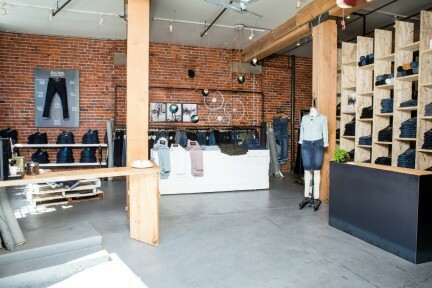 The team pursued alternative retail opportunities, hosting pop-up shops, attending trade shows and collaborating with other lifestyle brands like Naked & Famous Denim. They now open their Toronto studio to the public every second Friday. 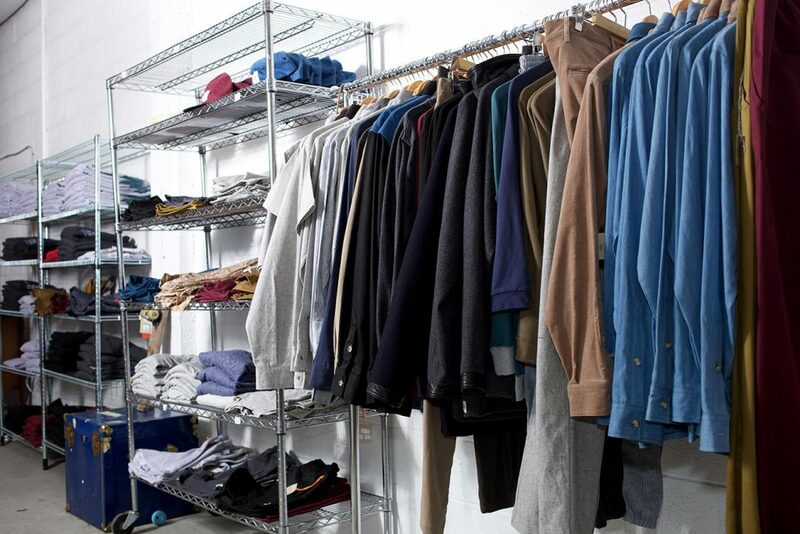 These savvy sales ventures have had benefits far beyond cash in pocket, allowing the team to receive direct feedback from customers, experience firsthand how garments fit both genders, and gauge the popularity of particular pieces. Playful themes inform each seasonal collection. The autumn/winter 2013 collection, “the Great Exploration”, is durable and versatile with anti-bacterial, moisture-wicking fabrics and wools in a neutral grey, navy, and hunter green colour palate. Flashes of safety orange are a cheeky play on the functionality of the collection while adding a pop of colour. For spring/summer 2014, “the Wanderer” is inspired by coastal camping trips and early morning commutes, a collection “for the everyday adventurer” with reversible, light-weight pieces for roaming around in, whether on the street or in the bush. With classic sportswear and the consistent patterns and cuts the team employs, it’s all about the fit and details. Fabric choices are paramount. The team uses recycled leather on detailing, and is known for their signature flecked recycled hemp fabric. They’ve also now created four fabrics of their own, all milled in Toronto—two jerseys, a French terry, and a quilted ripstop. Not only is Muttonhead’s local manufacturing policy ethical, it’s also practical, which is necessary for a unisex brand. “That’s one of the benefits of making stuff in Canada—the quality is really high. The environmental footprint is lower, too, because we’re not sending stuff out of the country, back and forth,” says Cowan. Muttonhead is gaining popularity across the country and worldwide. 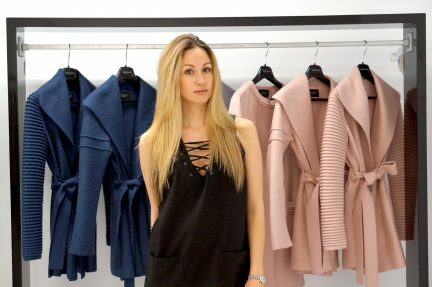 Cowan has relocated to Vancouver, while her business partners remain back east. “I think the West Coast is a really good place for us,” she says. “People here could be a bit more receptive to it with the kind of lifestyle out here, very homegrown.” The collection is available through select stockists worldwide, and can be found in Vancouver at Board of Trade Co., AJ Brooks, and the Corner Store. What’s next? “We’re narrowing down the product line to what the essentials are, changing the fabric, and perfecting the fit, things like that.” Just like a good classic, it gets new every time.